Every year around this time, there are some changes to the Ocean Beach Planning Board as the committee holds its annual elections. OB has 7 planning districts and each district has 2 reps. Usually only one is up for election any one year. But this year, there may be more changes than normal as board members retire or are termed out and new ones elected in the balloting, which takes place on March 11th at the OB Rec Center. Plus because of a timing flunk or other individual reasons (Jane G was in Peru, for example), on the official ballot, there is only one candidate’s name: Pete Ruscitti – the current vice chair and rep for District 6. He’s now running for District 3 – his home district. Many times interested OBceans are appointed to districts where there are vacancies and not necessarily to their own residential or business district. During the course of any one year, the Board may make such appointments to fill vacant seats, and if appointed, the new board member lives out the term she or he is appointed to. At times, potential candidates do not get their paperwork to the board on time or fail to officially run; in cases like these, people can run as “write-in” candidates as long as they do get the required documentation and signatures in. Here’s a breakdown on what’s happening. District 1 – John Ambert, appointed in August 2013, has his term ending this March. We’re expecting Ambert to run as a write-in candidate. District 2 – Veteran planner Barbara Schmidtknecht – on the Board since Spring of 2010 – has her term also ending this March. She has not filed to run again, and there is a rumor that she is retiring from the Board. District 3 – Drew Wilson’s term is ending. He’s only been on the Board since last October. As there is already a candidate for that seat (Ruscitti) – which Wilson was appointed to – he may wish to either be appointed to another district or run as a write-in for the current district. District 4 – There is a current vacancy to this important district’s seat. No one has filed to run but someone may jump in as a write-in candidate. There actually may be two open seats for this district, as the other seat for D4 has been held by Ronson Shamoun since 2008. But Shamoun, a millionaire tax attorney, has been visibly absent from Board meetings recently, which may mean that the Board could exercise its prerogative via its By-Laws that require a minimum of attendance, and ask that he step down. The Board’s website shows 2 vacancies for the district so this may not have to occur. District 4 – the “Hub of OB” – needs strong leadership on the planning committee as it has many challenges and wonders to abide. District 6 – There may be two openings for this, as the seat that Pete Ruscitti was appointed to in April 2012, has its term up this March. Ruscitti is officially running, as mentioned, for District 3. The other opening may be because current Chair Tom Gawronski is rumored to be retiring from the Board – his term is not up until March 2015. Jane Gawronski – Tom’s other half and veteran planner herself – is in the running either to be appointed or as a write-in. This has been confirmed. So, Jane may be appointed to her hubby’s seat or the one being vacated by Ruscitti if no one else jumps for it. District 7 – The current rep is Ginese Quann, appointed in June of 2013, and her seat’s term is up at the election. Quann has not been attending that many meetings, and there is no word on whether she’s running as a write-in. Also, once the election is officially certified by the Board, it will pick its new officers. District 1 – Andrew Waltz – another newbie appointed last Spring. District 2 – Kevin Becker – also somewhat new to the Board having been elected in 2013. District 3 – Scott Therkalsen has been a strong voice for his district, and is now one of the “veterans” having been on the committee since 2010. District 4 – No one currently represents this district. District 5 – Bill Bushe will continue to speak for his area, the retired lawyer having sat on the Board since 2010. District 6 – As noted, there may be 2 vacancies – although Jane Gawronski may be appointed to this seat. District 7 – This district is aptly represented by Raeanon “Ray” Hartigan, who has been on for a year. Another rumored write-in or appointment is Seth Connolly, another stable and experienced OB planner. Some of the most experienced Board members are leaving or their continued presence is in doubt. Gio Ingolia is off, termed out. Shamoun is probably gone. Tom Gawronski may be retiring, as Barbara Schmidtknecht may be. That leaves Therkalsen and Bushe as the longest-currently-serving members. Out of 14 Board seats, 6 were filled in 2013, at least 4 of them by appointment. This reflects the turn-over at the Board. 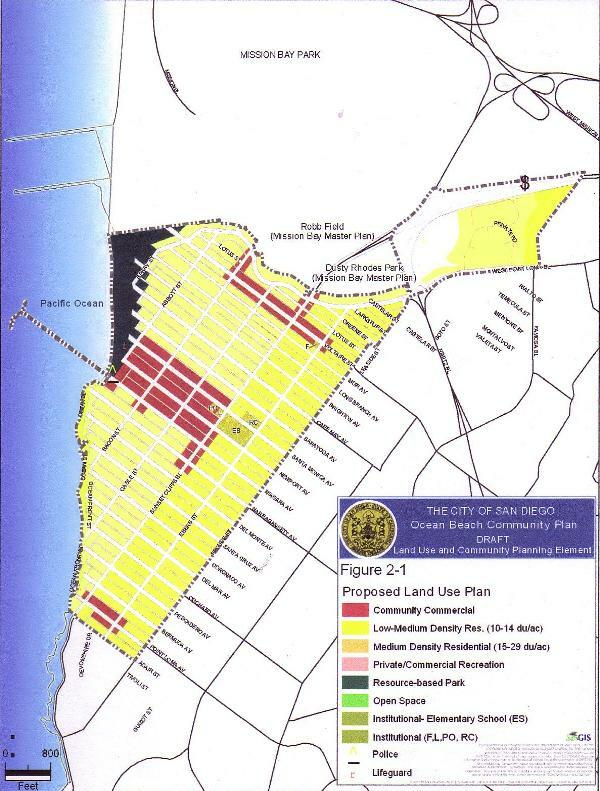 Finally, one of the most important planning districts in OB does not have any representation. The Hub of OB includes most of the beach, 90% of OB’s business areas, much of the government facilities within the village, and has substantial challenges, from parking, to tourism, to gentrification.